Britain. 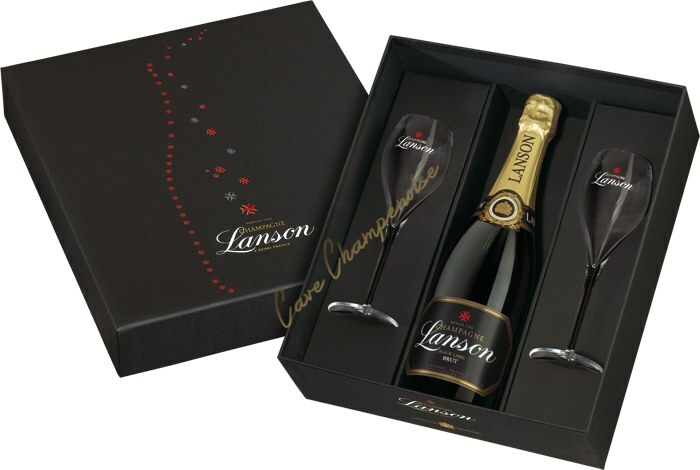 The style of this champagne blend is constant throughout the years, a balance between power and elegance, strong wine aromas and finesse, truly characteristic of the Lanson style. After 3 years minimum aging cellar, Lanson Black Label is mature and harmonious. her dress is brilliant and clear, reflections amber with a cheerful string of fine bubbles. The nose, reveal scents of spring and subtle accents of "grilled" and honey thousand flowers. On the palate, bouquets ripe fruit and citrus give a feeling of fullness and lightness with final on freshness.